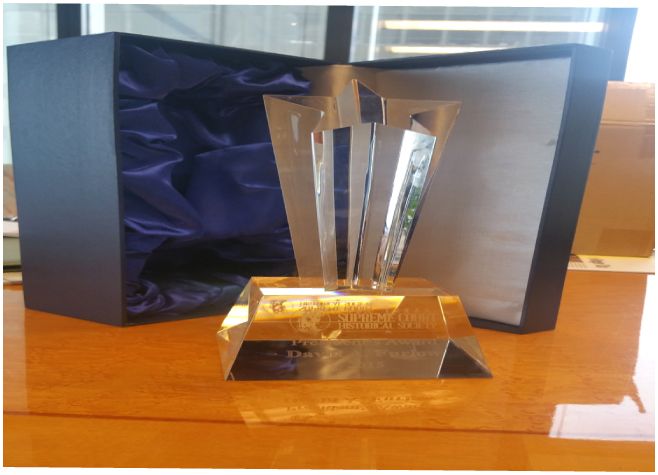 In 2015, the Society’s President and Board of Trustees created a new award to recognize outstanding service contributions to the Society. The President’s Award is announced each year at the John Hemphill Dinner. 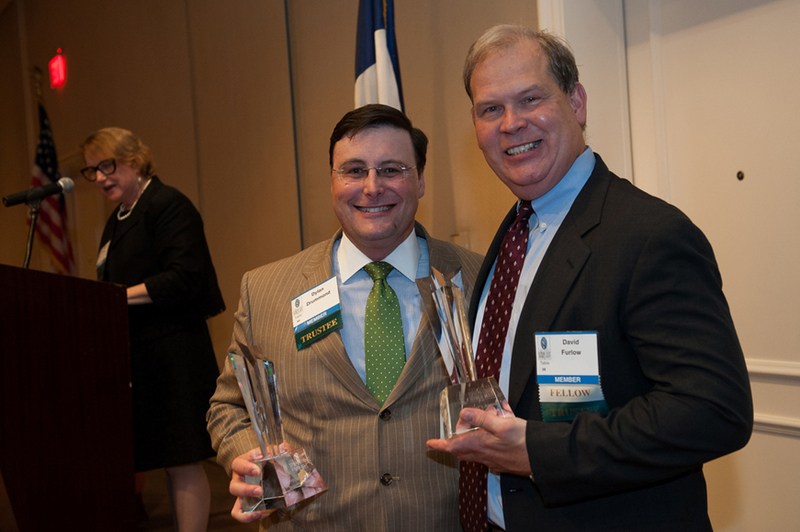 Award recipients Dylan Drummond (left) and David Furlow at the 2015 Hemphill Dinner. At the podium is 2014-15 TSCHS President Marie Yeates, who made the award in recognition of their outstanding teamwork on the Society’s Journal and Dylan’s leadership on the new website. 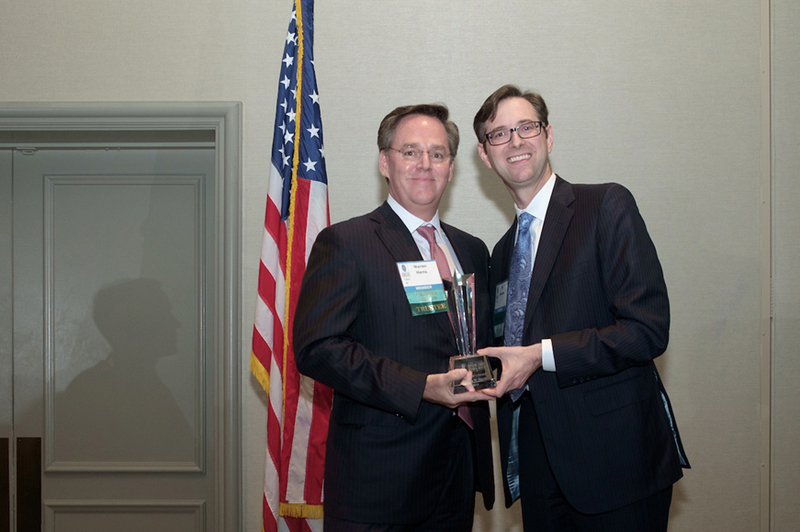 2015-16 TSCHS President Ben Mesches (right) presents the 2016 President’s Award to Warren Harris for his leadership of the Fellows’ Taming Texas book project and judicial civics program. 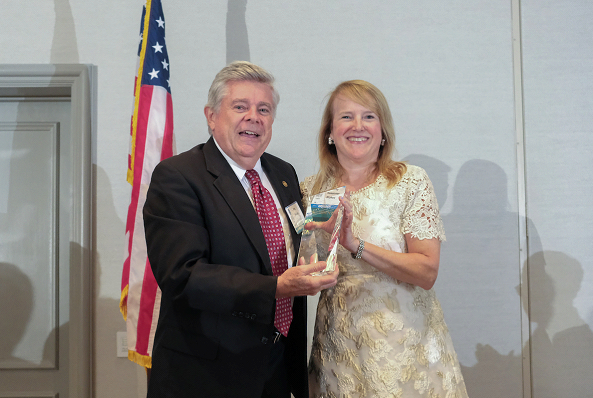 Recently retired Society Executive Director Pat Nester is recognized by 2016-17 Society President Macey Reasoner Stokes for his outstanding leadership and service. 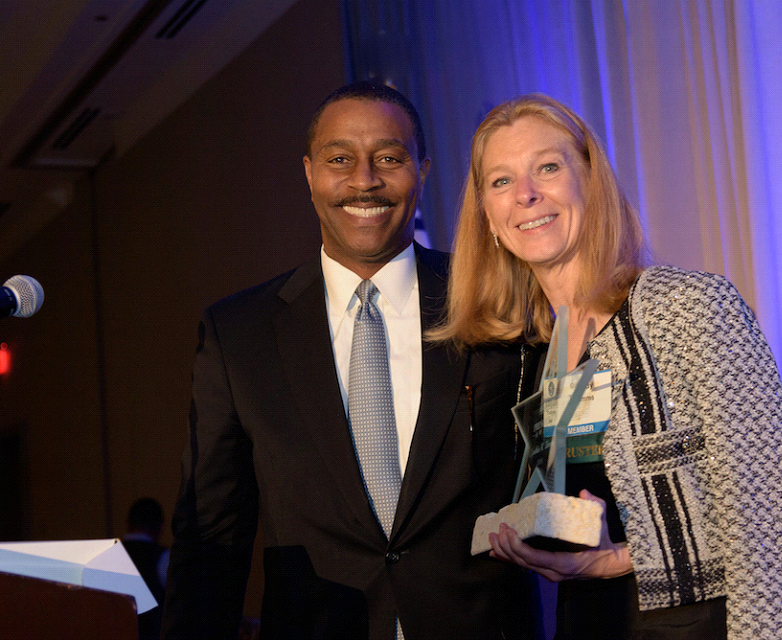 2017-18 President Dale Wainwright stands with honoree Cynthia Timms, a long-time Society board member, officer, and program supporter.